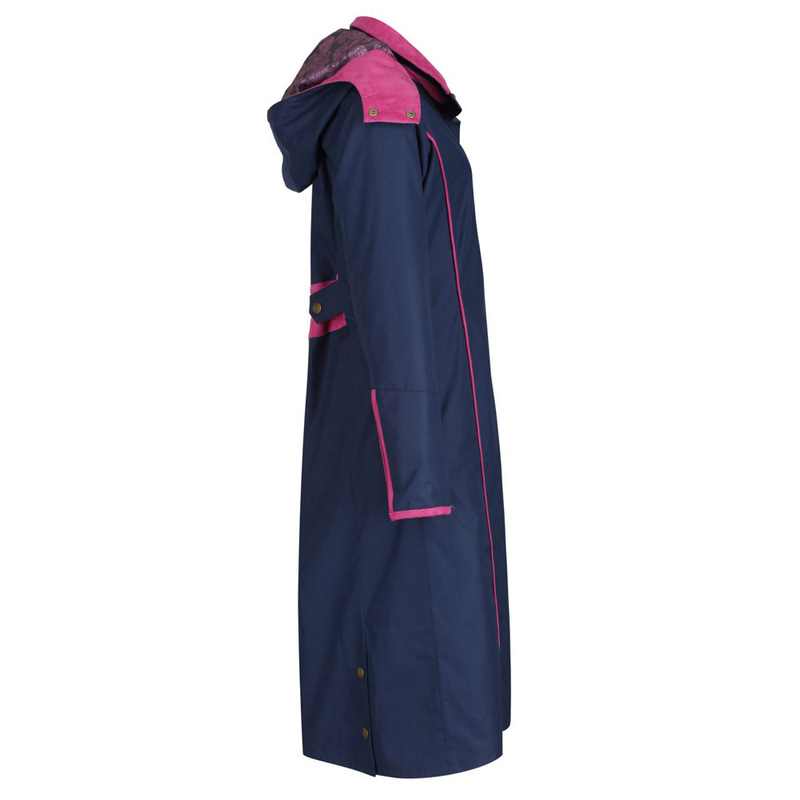 This modern British designed coat by Welligogs is a lightweight long waterproof and windproof coat with detachable hood. The extra-long length means you’re covered the tops of your footwear. 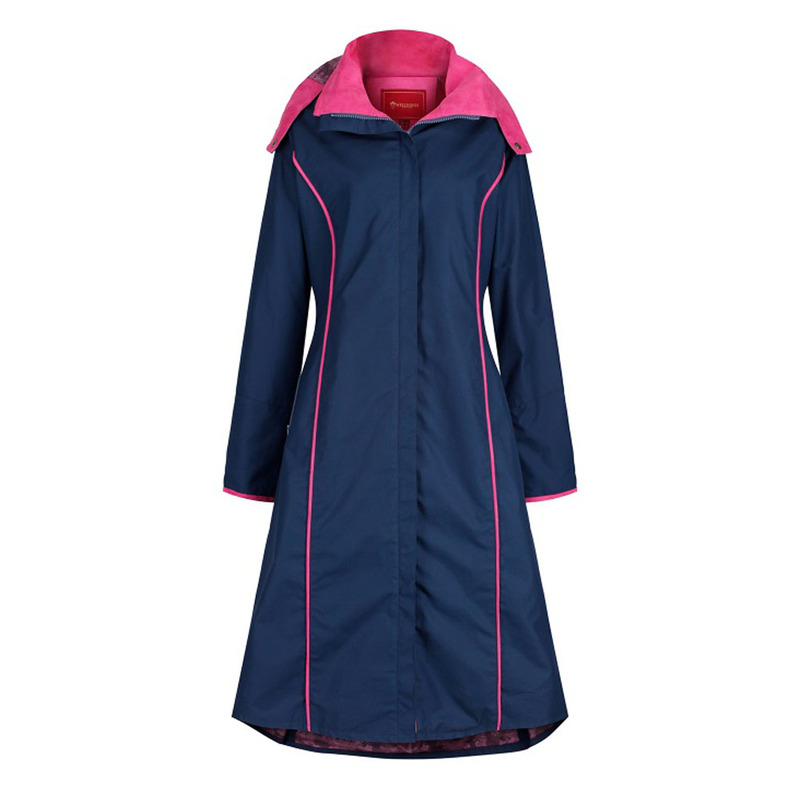 The coat features a fuchsia pink suede feel detailing and trims Welligogs branded studs inner zipped pocket and 2 hidden pockets in side seams. 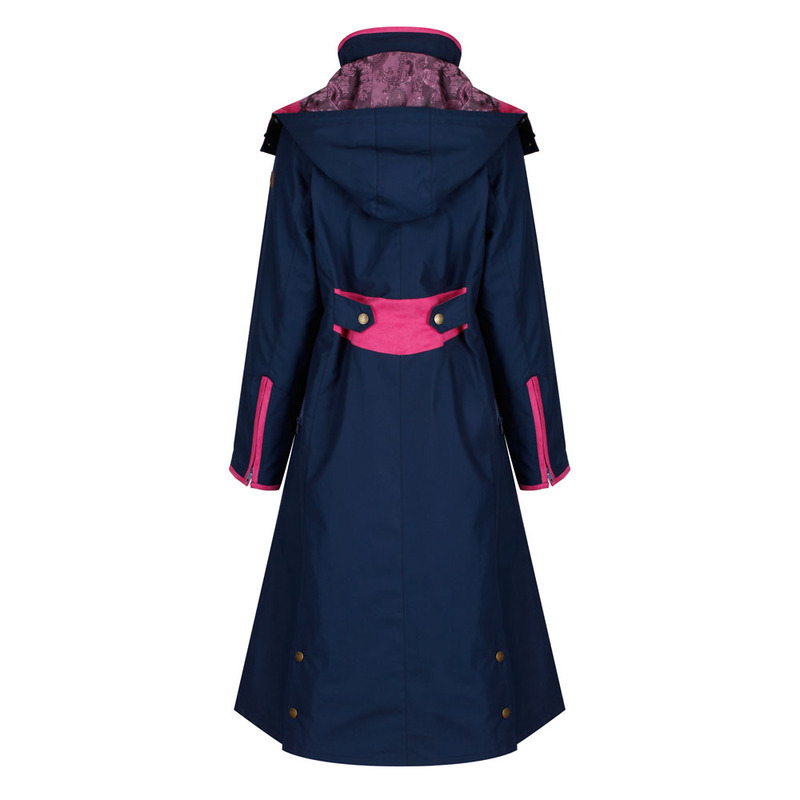 The adjustable back allows for a feminine silhouette to be created and is finished with a pretty paisley lining. Machine washable.